Franco-Canadian sculptor, born in Maubeuge, France in 1974. Lives and works in the Laurentides region of Quebec, Canada. His grandfather, Bortolo Ercoli, sculptor and stonemason, brought him to a quarry as young as 7 years old. He also discovered woodworking and made his own toys (sailboats, weathervanes, water mills...). He starts to collect stones. He studied law and economy, but his passion for film and theatre, and visual arts was too strong and caused him to radically change course. He then studied at the Fine Arts school in Maubeuge, France from 1994 to 1997, as a student of sculptor and visual artist Grégori Anatchkov (1941-1997). The two had a great complicity. This was a determining moment and the relationship would have a great influence on the work to come. Vincent sketched several hundred projects and produced his first sculptures. Vincent continued his studies at the University at Valenciennes between 1995 and 2000, first in liberal arts, visual arts and performing arts, then in art and communications, obtaining his masters' degree. In 2002-2003, he was in a DESS: Diplôme d'Études Supérieures Spécialisées (French University Graduation: Bac + 5 Years) degree program in communications management. Between 1995 and 2003, he produced 70 reliefs, 80 engravings, several installations and sculptures in bronze, steel, laminated wood, plaster and resin. After Anatchkov's death, the Belgian sculptor Olivier Strebelle took him under his wing and welcomed him like a son. Vincenzo participated in the daily life of the studio for several years and discovered a new way to work and to look at life. His ease of perception and of drawing in space helped him greatly in the studio. He discovered wax, the pantograph and precise frame work and perfected his knowledge of working with plaster. In 1999, Vincent began to make his first wax models, which he forged in bronze in Italy, during trips to various foundries and enlarging studios. Vincent filmed studio life for 4 years and produced 3 documentary films. In 2000, as photographer and research assistant, he was a major participant in Philippe Dasnoy's book Strebelle in Paris, Some stories about sculptures, for which Hubert Nyssen wrote the preface. 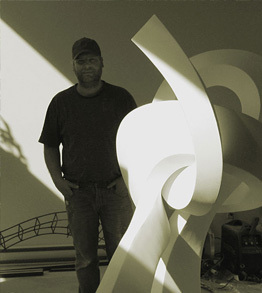 Vincent continued his Canadian travels to the west coast to travel and further his studies in 2004, after which he produced a series of large plasters. In 2005, Vincent moved back to eastern Canada and settled in the Laurentides region of Quebec and devoted himself exclusively to sculpture. To this day, Vincent has created more than 100 sculptures, and works on several monumental projects. 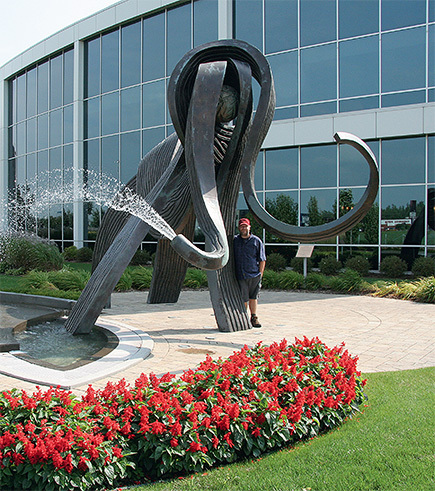 From 2010-2011, he created the Mammouth Spirit, a sculpture/fountain, his first monumental work, for the corporate headquarters of Soprema in Drummondville, Quebec, Canada. In 2012, he edited a book on his art work. From 2010-2013, he built a huge studio. In 2013, he started to develop watercolors work. In 2016- 2017, he created La Constance IV, deuxième réalisation monumentale in bronze, for the first North American factory of Soprema, on Haggerty street, in Drummondville, Qc (Canada).